Here I go again! I wrote a blog with the same title 'The Waiting Room' in October 2013 when things were not very good and I was really feeling the pressure of final year. I want to revisit those feelings and thoughts to challenge them to what's going on in my life right now. I can't hardly believe that the final submissions are looming and my draft Dissertation is due in soon! I said 'Hello!' to Manchester early on in 2014 for I had some research to do. Before my trip I got my head together and decided that my state of mind wasn't going to get me anywhere, so I took some time and powered through my Dissertation research to find that I had more in common with my topic than I previously thought. So Manchester was great, I got my facts and figures whilst having a great time exploring a new city, so I could say that I've been to more than just the airport! But all at the same time I still feel like I'm a departure lounge of some sorts, more so now than ever because I just want to know what future has in store for me, maybe I should be patient? Adventure is amazing and I'm really glad I could find some positivity in Manchester to bring me back to my best! My draft submission of my Dissertation is due very soon but I have faith! Dissertations can be fun! I don't have time to be stressed B! Like I expressed before in first time around in 'The Waiting Room' that my blogging would need to slow down, I have a confession to make that doesn't shock me in the slightest. Blogging has been my therapy for I can just get out of the stress of being a final year student with all this unnecessary work to do and just be happy. Manchester hasn't been only trip for I've been a busy Travel Blogger recently, making my way to Bath, Bristol, Cheltenham Spa and Dursley. I now plan my blogs out so I know when its best to fit in university work around them to get the correct balance. Let's just say that one blog in-particular will act as a prompt for a upcoming assignment that I just want finished! Birmingham has charmed its way back into my life so I'm looking at publishing a 'Benefits Street' blog soon, breaking my vow to visit parts of the city that I didn't fancy my chances. I'm looking forward to Birmingham Pride at the end of May, it will be the last time I'll turn up as a student! Lectures! Yawn! I'm so over them I just want to pack and fly! But burying my head into any form of academic text could easily give me an allergic reaction! I'm joking! Hospitality Operations Management wasn't so nice to me, I tried my best to get a plausible grade for the main assignment, I questioned the marking because I toiled over that 3,000 word essay for far too long! Another woe that plagued me during the first semester of final year was Strategic Management because that Merlin wasn't very good at magic. Teamwork can be stressful but all about keeping focused! Oh I really love the drama! The grade awarded for that sorry state of a module wasn't as ghastly as I was expecting for the saying goes 'be careful what you wish for?' So from October 2013 to now I feel like I've been waiting for a delayed flight longer than necessary but I have faith that the revised time of departure will be revealed. Get on with it BB! Don't get me wrong I now see some kind of path that I could be taking after I finish university but since 2012 things have changed several times, all to the extreme really from being in Newark working full time to then being thrust back into the learning environment to either sink or swim. I've travelled several times since returning from America but always end back to where I began each trip, I mean all this in the best possible way. The analogy to 'wait' has transcended to more than my studies and the feelings I had at the beginning of my final year at university. I'm my own worst enemy because I'm never satisfied with what I've got its always got to be more and not so much in the dreariness of this setting. I know that my nearest and dearest understand that adjusting to the next stage in my life will most probably take me to a far off land but I know they are cool with that. If Emirates doesn't work out I have a plan that's on the back burner, I'll teach English in China. I don't want to tempt fate but I successful secured my desired jobs since I applied for the Disney International College Program in 2011 and then for my Virgin Atlantic Internship but this time it real! 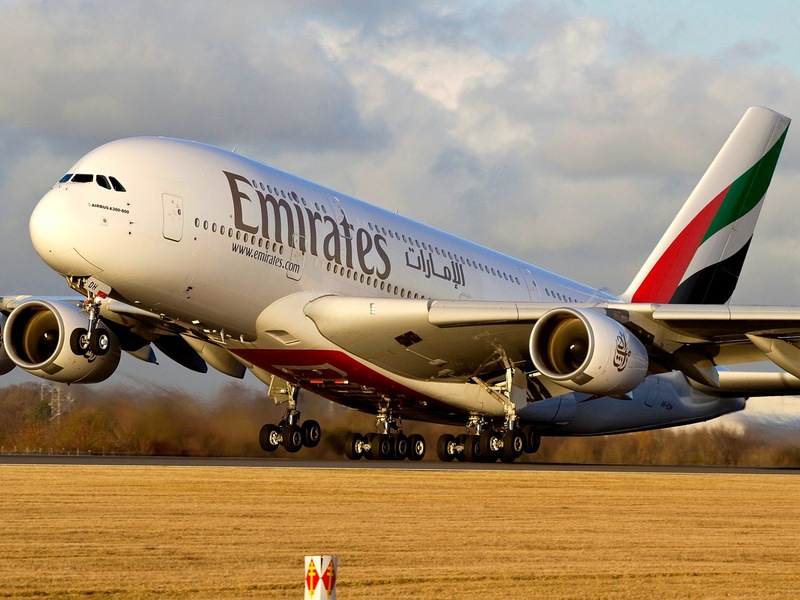 The last few months have been like a hurricane of emotions and job applications for I bit the bullet and applied for the Open Day in Birmingham to become Emirates Cabin Crew. I'm brushing up on my phonetic alphabet and modifying my resume so I can give myself the best chance to be what EK is looking for. I might have blogged about this ambition of mine several times but that's so! The date and location has been set, my outfit has been sorted for the big day! I need to get other things sorted so I can secure a chance to have an office at 40,000 ft instead on a mundane nine to five job that's just not me! I have confidence in confidence, watch this space! What will be will be, that's the question? OK please! I'm confident my deadlines will be met and I will aim to make a few day trips before I fly off to Germany in April. Final year has been a struggle but I look back at the main body of this academic year to believe that life is one great challenge with many obstacles to accomplish. Securing my dream job would make the reality fit perfect, I will even learn Arabic to conversational level to ensure I would live a authentic Emirate life. With my Dissertation almost done and the pressure of other commitments making themselves known I'm going to keep on doing what I can in order to get where I want be. Waiting isn't so bad after all but getting to the final destination sounds like a plan to me! I look to destiny to guide my path in the right direction to know that being in 'The Waiting Room' wasn't bad. I would like this flight to start boarding to take me to my next challenge! Patience is a virtue they say? Let fate take its course, I might not be so lucky, life must be the reminder!